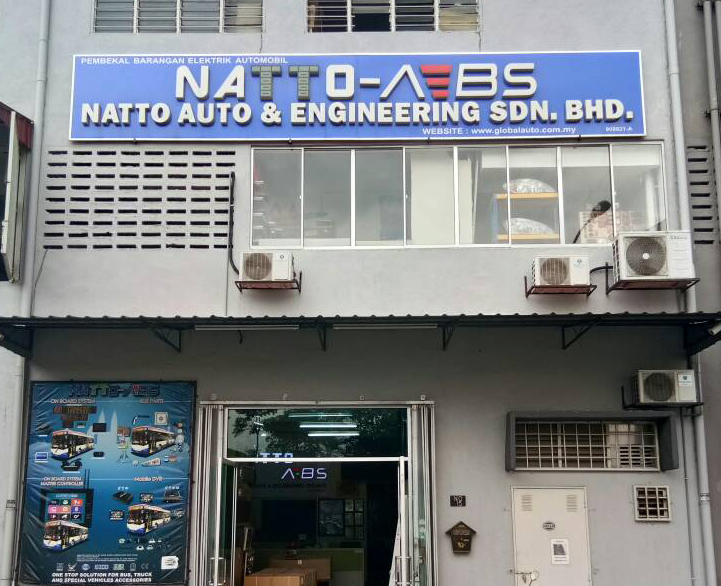 Natto Auto & Engineering Sdn Bhd was incorporated on 29 July 2010. Registered in Malaysia with Companies Commission of Malaysia. We offer comprehensive one-stop solutions that cover various supply and repair electrical, electronic and accessories for truck and bus industries, particularly in CCTV, DVR, GPS real-time tracking system, LED board/lighting, LED/LCD display and monitor and etc. the system especially for folk lift and mini truck. To become the market leader in providing quality products and solution. To become top quality services provider in delivering our product,pre-sals and post-sale technical support for all the product that we sell. To work closely with our principals, manufacturers and ecosystem partners to provide the best solution for our customers. Through its more than 20 years of operations, Natto Auto & Engineering Sdn Bhd is proud to be associated with notable companies and government bodies in the supply of its expertise and technical ability. Our value is not only found in our competitive prices, our superior quality and service that truly makes the difference, but also in our concept of providing the business enterprise with a one-stop source and soliciting long-term business relationships. We are committed to efficiency and high-quality standards to achieve our aims and we are committed no less to a dedicated approach to ensure consistency and credibility. We are a strong team comprised of talented, committed and professional individuals giving their fullest effort in every aspect to the customer and company every day and every time.